Can Lene really mobilize people in 1 hour ? 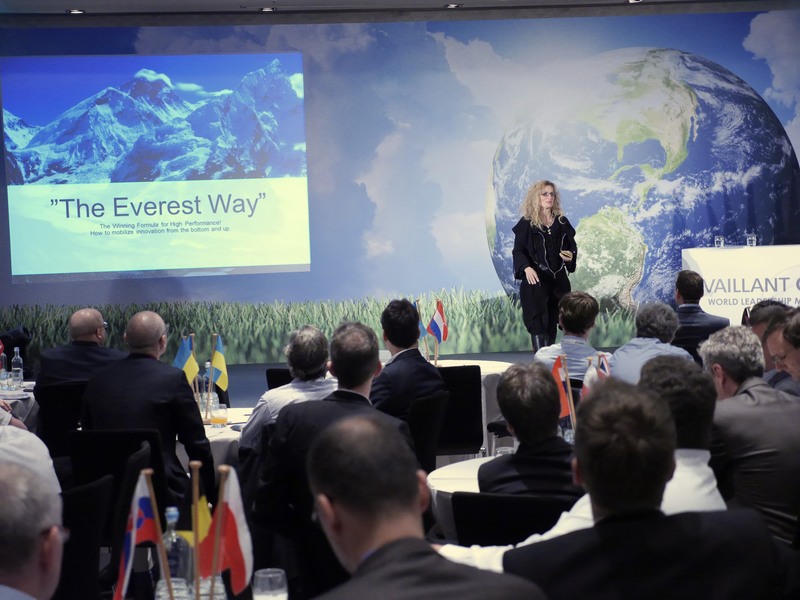 FUTURIZE THE EVEREST WAY – Keynotes, lectures, presentations, baSe-camps and transformation programs - innovate missions, leadership, organizations and people who accomplish what has never been achieved before. A lot of good points came up yesterday, but as you point out – if something shall come from the piece of original innovation we created together yesterday, it’s up to, among other things, you as a participant to take the best points and actively use them in your work for the future. It was, indeed, very powerful and I can highly recommend Lene as an inspirational strategy and sustainability speaker with a mobilizing angle. Lene looked at the agenda and goals for the event and increased it to a more ambitious one: To not only give a hand to growth and entrepreneurship, but to engage in changing the world to the better in doing so. To inspire companies small or large to incorporate the UN 17 Sustainable Development Goals in the Business Strategy. •	“Lene is a true entrepreneur herself and thus she is very trustworthy, •	“Lene dares to provoke and you almost feel guilty that you don’t focus enough on the 17 SDGs already”, •	“Lene uses her Everest experience to give you a mental picture of how to set an impossible goal and then start the journey uphill to the unknown, programming your brain again and again with your mission statement and reaching the summit – very powerful!”. Task: World-class-Motivation of multi cultural team with focus on: “The biggest challenge we face in our day-to-day is being able to understand someone else's perspective in such a highly diverse team. How do we communicate with each other, achieve goals & overcome obstacles together while still having mutual respect? However, we are also a quite young and ambitious team, so questions such as: How do you get out of your comfort zone and think outside the box or how do you set yourself up for success to become a true leader are critical for us as well. Will it make a difference if we book Lene ? Lene – Thank you again for your great performance. In connection with our global sales meeting at VERO MODA, where 140 salespeople from all over the world were invited, topics as ambitious growth and how we as humans can release our full potential – through disciplining how we utilize our brains capacity were in focus. We have an outrageous ambition for our Brand. I aimed to find the best person who are able to combine an incredible and goal-setting story with igniting excessive growth and mobilize and releasing potential in our teams – with the motivation of achieving unprecedented growth within VERO MODA over the coming 4 years. 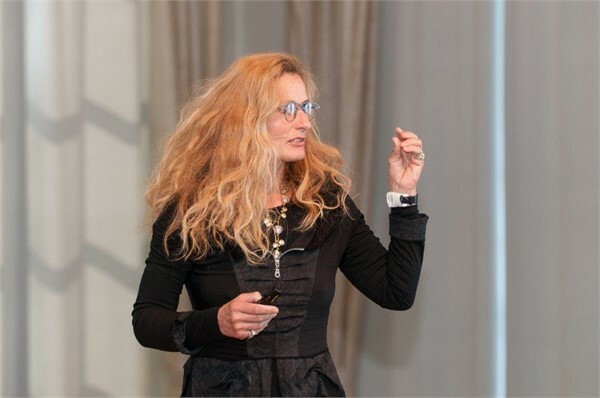 Therefore, I called Lene Gammelgaard and asked her if she could be interested in sharing her knowledge and extreme experience based insights on human psychology – contributing to how you, as a salesperson, set your goals and work with yourself to get to the summit. Two incredible hours flew in Lene’s company, and in an exceptional manner, Lene managed to connect our dreams at VERO MODA with the dream she had, when she climbed Mount Everest. Rarely, have I seen 140 salespersons be so captivated and dedicated for two whole hours. We experienced Standing ovation for the first time ever – in my time with VERO MODA. 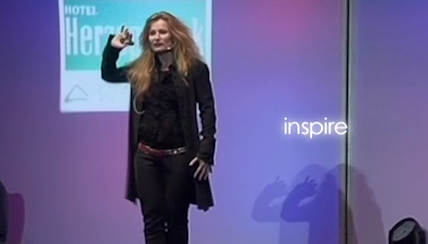 Lene innovated a mobilizing process – for us to draw motivation from in the years to come. She delivered so much more than her Everest story. For the reasons being, I give Lene my warmest recommendations. And if you ever think about combining astonishing story telling with the release of your full potential to achieve what’s never been accomplished before – do not hesitate to reach out to Lene. A big thanks to Lene. FUTURIZE17 is a novel collaborating task force that expand minds to drive innovation in the future. We increase opportunities for innovation by expanding the individual’s mental perceptions and stamina. We innovate learningforums for ALL who want to improve the state of the world. In spite of extensive life-experiences – we are obviously all humanists – therefore the 17 world goals are our operating matrix. Everything we mobilize in collaboration with you – will contribute to the 17 goals. I4.0 – Robotization – AI – etc. transforms existence – therefore FUTURIZE17 innovate for the greater good of humankind. We believe all who can benefit from our discoveries should have the opportunity to do so. Celgene puts patients first with industry-leading programs that provide information, support and access to our innovative therapies. Focus: How to unite individualistis into a focused task-force that pursue one specific company target? How to establish common focus and collaboration like never before to expand marketshare? Why should we invest so much money in Lene? Lene’s longstanding experience with result innovating strategic work-shops and leadership methods as well as organizational transformation processes across various industries and cultures – ensures you specialized expertise – when inviting Lene to co-operate your next groundbreaking Event or transformation process. Lene CONTRIBUTED TO THE FIRST ROBOTIC SEMINAR AT LEGO with Robot Cluster, engineers and inventors. Lene gammelgaard – Martin Heide Jørgensen – SDU – FUTURE LAB, Lasse Thomsen – SCANbots INNOVATOR, Morten Nielsen – Robot Cluster – founded FUTURIZE17 and are currently innovating seminars for global clients to become leading within their field in the 4 IR. Lene is often booked by international companies for their Global Leaders & Managers meetings. Lene can also deliver tailor made presentations to school classes. All grade steps incl. Universities and Business schools. General Electric has used Lene several times. By merger with Alström Power and in connection with Pioneering for the Future. Last task in Budapest was Sparring and Kick-Off for Global Task Force. 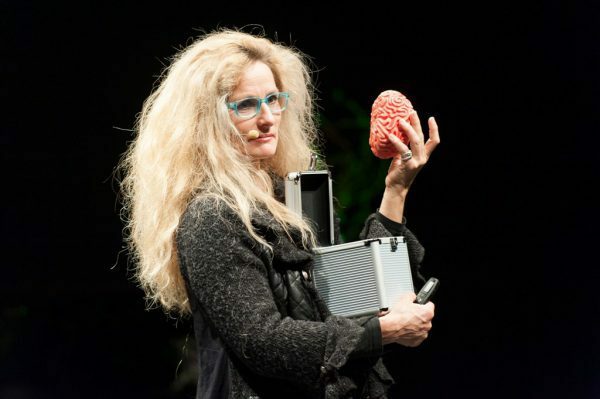 Lene delivers 19 minutes THE EVEREST WAY Keynotes – Here for Neurologists, Neuro Professors and Neuro Specialists at Münster University Hospital. Diversity. Example of what can be created. Lene was here the speaker and co-creator of a 3-day Diplomatic Ambassador’s Collaboration Tour to OSLO. Mini-expeditions to Kilimanjaro and now Iceland. OLD-Outdoor Leadership Development is Lene’s second research specialty. For this client Lene created a 2-Day Seminar including Sailing Workshop for Comlux Avation. The task was to integrate new unpopular CEO, as well as innovative international organizational structure and culture. Collaboration – Sheiks from UAE, Russians, Swiss, Scandinavians, Americans, etc. HR responsible Corinna Hoffmann has based on this successful process, referred Lene to Alström Power, where Lene innovated Kick-Off before Fusion with General Electric. GE has since hired Lene repeatedly. Norwegian Defence Logistics Operation: One of Lene’s challenging assignments. How do you get the very different individuals with each their agenda in a stuck cooperation between the Swedish Weapons Industry, Submarine Division in the Military and Political Interest to take responsibility and solve their conflicts? Lene created a 4-day course in Norway. The outcome: All participants – implemented the actions they had found in the process were their responsibility Monday morning . One example is Rockwood Lithium, who, after a long selection process, asked Lene to co-create a 3-day Global Leadership work-shop process in the United States. Lene delivered KEYNOTE, sparring and facilitated processes. Result: All Global Leaders Presented Their Personal Mission to Achieving the Company’s Global Strategy. SCHMOLZ + BICKENBACH Group is one of the world’s leading providers of customised solutions in the special long steel products business. Senior Technical and Consulting Recruiter with expertise in PM, BA, Software Development and Infrastructure relating to Information Technology and Fortune 500 companies. Specialties: Understanding of Information Technology platforms, development architecture, infrastructure, operations as well as methodologies and models. “On two occasions, Lene Gammelgaard has presented her thoughts about leadership and development of people to different leadership groups in Lego. We find her ideas and research very valuable in the development of managers, people and organizational culture. Therefore, I would highly recommend Len’s invaluable contributions. Senior Officer, Pew’s Arctic Ocean-U.S. project. “Thank you for making Fertilitets-messen a fantastic event, full of positive vibes, new ideas and inspiration to the crowd attending. WAUW female power at its best… Lots of hugs all round. The Boston Consulting Group, Germany.